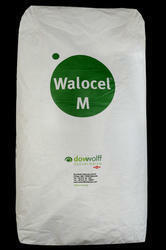 Our product range includes a wide range of rd powder and methyl hydroxyethyl cellulose -mhec. 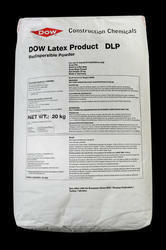 DOW Latex Powder(DLP)212 redispersable Polymer Powder is a free-flowing,white powder obtained by spray drying of an aqueous vinyl acetate-ethylene copolymer dispersion.It offers all the advantages of a free-flowing powder additive,such as ease of transporation,storage and handling.DLP 212 can be used in a variety of application in the constrution industry to improve key properties of cement and gypsum based formulations. Walocel™ MKX 45000 PP 10 modified hydroxyethylmethyl cellulose (HEMC) is designed to enhance the quality and processing characteristics of cement-based materials such as wall putty (skim coats). Compatible with all conventional mineral and organic binders, Walocel™ MKX 45000 PP 10 adds excellent open time, adhesion and shear strength according to different storage conditions. It also enhances workability and water retention.